Windows Holographics (Hololens) is freaking amazing! 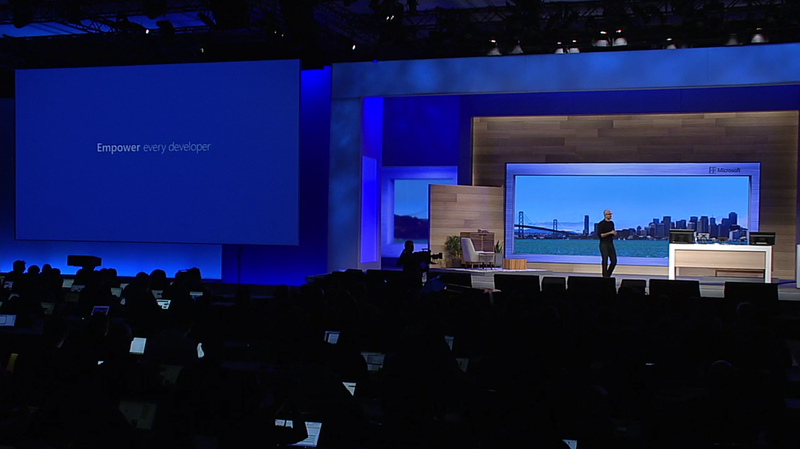 Visual studio is now the code editor for all platforms, and Azure is the cloud backend for all platforms. Recompile Android and iOS apps, and target Windows platform!! Note, the stream started at 1:36am my time. You can see the timestamp in most of the screencaps, so you can translate it into how far into the steam each topic/announcement is. When Windows first started, it was written by 2 guys and was for PCs. But now there are so many more devices out there. It is Microsoft’s mission to help empower every person, and that starts by empowering every developer.